Fireworks explode over the Sydney Harbour Bridge and Opera House during a pyrotechnic show to celebrate the New Year. 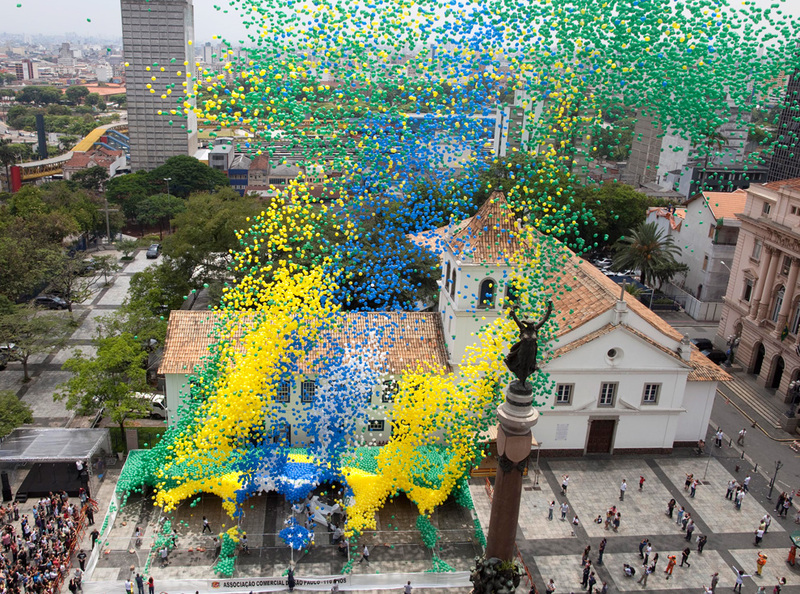 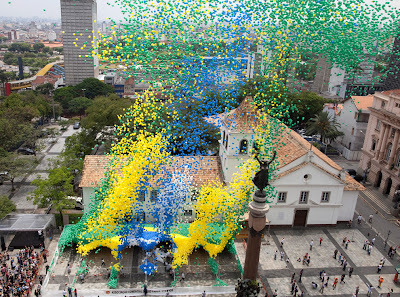 Members of Sao Paulo's Commerce Association release balloons wth the colors of the Brazilian flag to celebrate the end of the year. 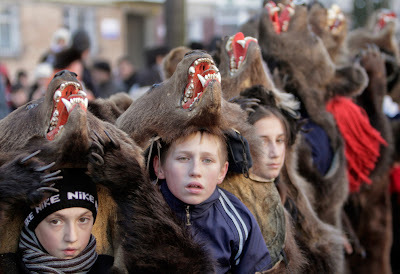 Children wear bear furs during New Year ritual dances in Comanesti, Romania. In pre-Chritstian rural traditions, dancers wearing colored costumes or animal furs, toured from house to house in villages singing and dancing to ward off evil. 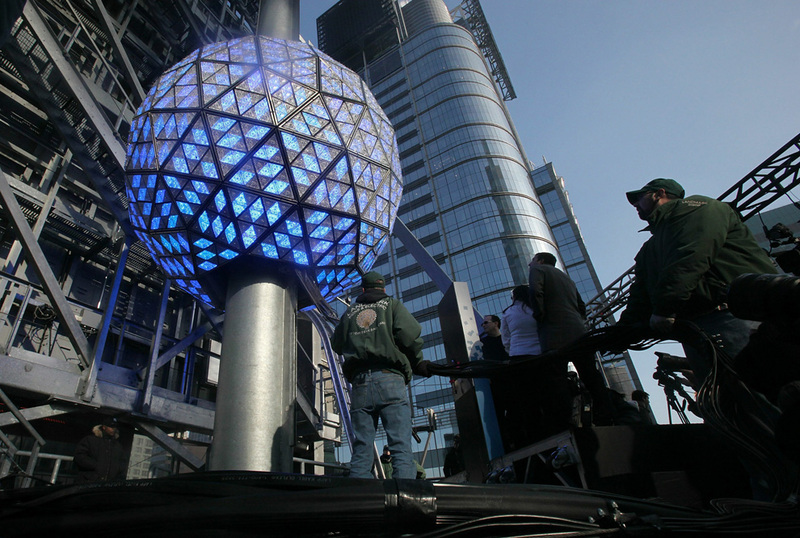 The Times Square New Year's Eve Ball is tested the day before New Year's Eve. The 11,875-pound Waterford crystal ball will descent a 141-foot flagpole to mark the beginning of 2011. 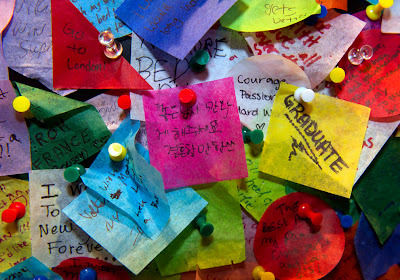 New Year's wishes for 2011 are tacked on the Carnival Cruise Lines Wishing Wall at the Times Square Visitors Center in New York. The slips of paper with people's wishes on them will be included in the confetti that will fall from the tops of buildings around the Square on New Year's Eve. 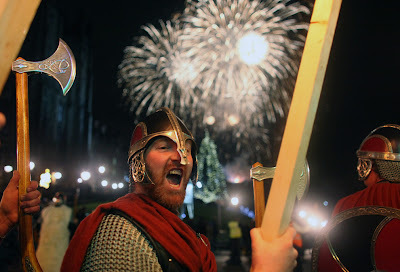 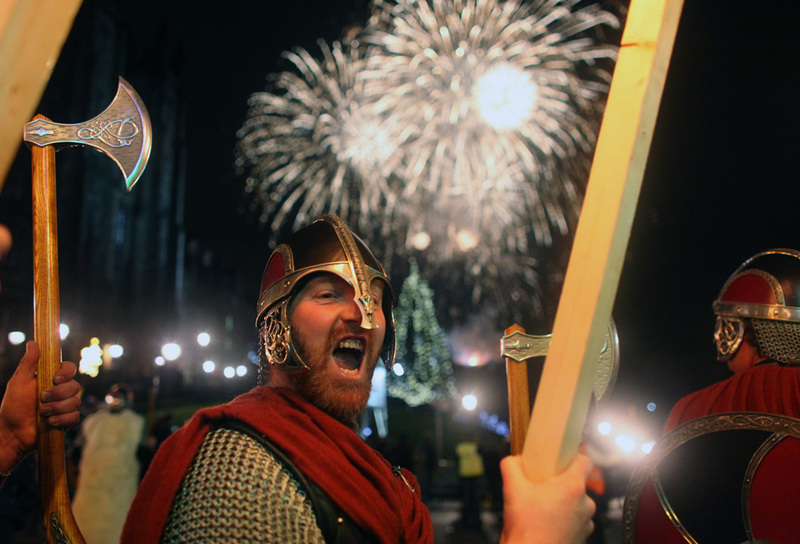 Men dressed as Vikings lead the torchlight procession as it makes its way to Princess Street for the start of the New Year celebrations in Edinburgh, Scotland. 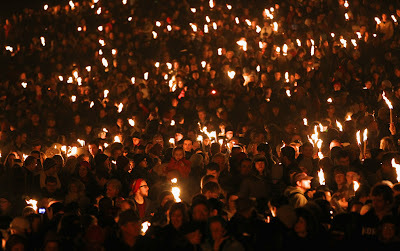 Thousands of people joined in the torchlight procession, followed by the burning of a Viking long ship. Thousands gather for the torchlight procession in Edinburgh which starts the New Year celebrations. 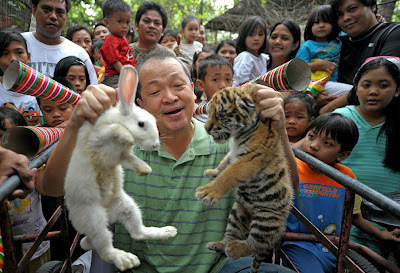 Zoo owner Manny Tangco holds up a rabbit and a tiger cub surrounded by local children at the Malabon Zoo in Malabon, in northern Metro Manila, Philippines on December 28, 2010 to illustrate the shift from the "Year of the Tiger" to the "Year of the Rabbit". 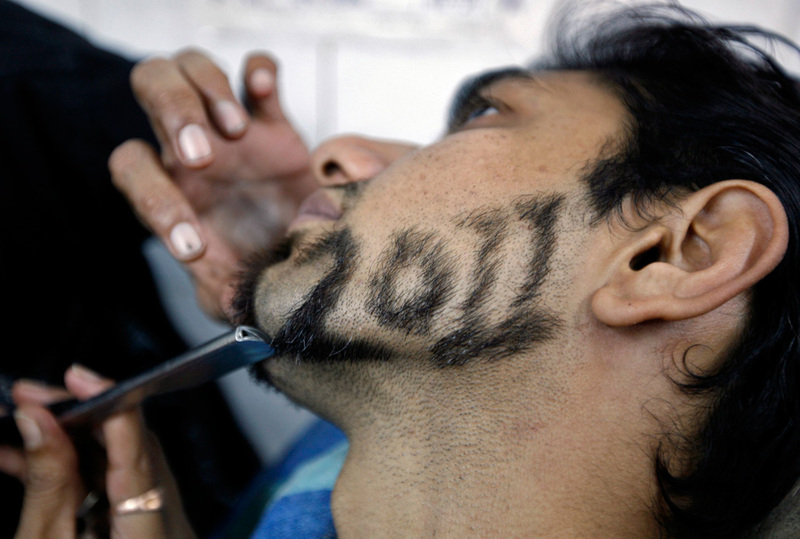 A man has his beard trimmed in the shape of the number 2011 to welcome the New Year inside a barbershop in western Indian city of Ahmedabad on December 29, 2010. 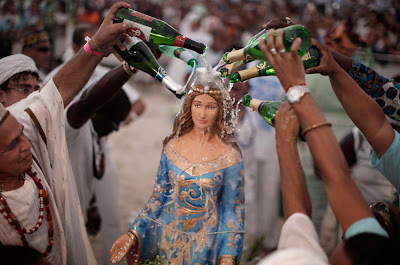 Faithful pour cider on a statue of Yemanja, Goddess of the Sea, during a ceremony that is part of traditional New Year's celebrations on Copacabana beach in Rio de Janeiro, Brazil on Wednesday December 29,2010. Yemanja is from the African Yoruban religion to America by West African slaves. 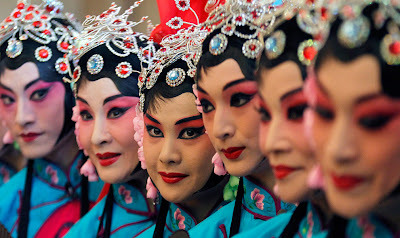 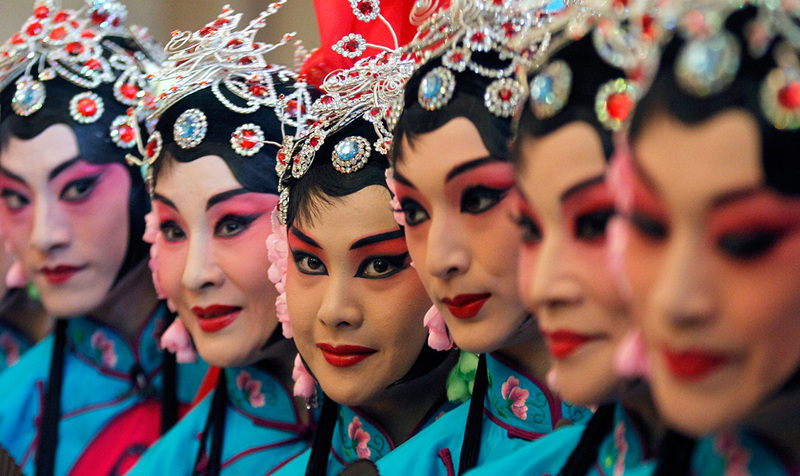 Performers from the Guo Guang Opera Company pose after their rehearsal for a new program titled "Pan Jin Lian", to be performed on New Year's Eve, at the National Theatre Concert Hall in Taipei, Taiwan on December 30, 2010. A woman holds an offering of fruits as shamans perform a ritual for good luck for the new year in Lima, Peru. 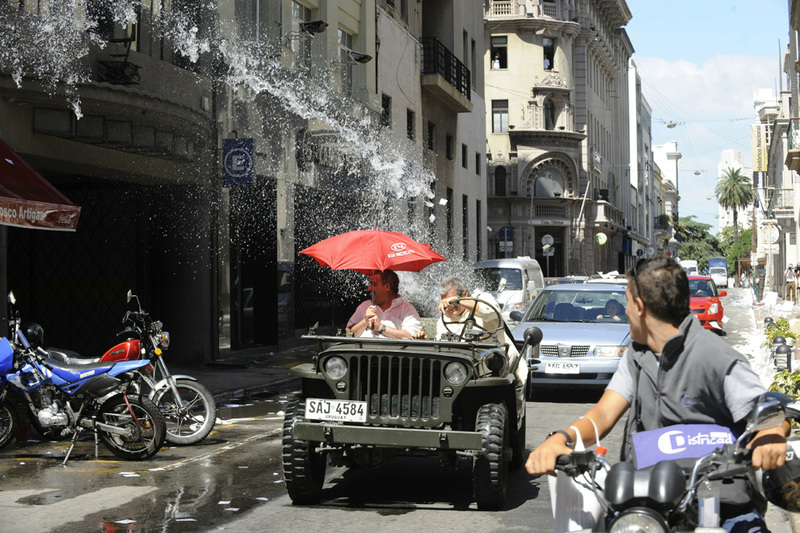 Men driving on an open vehicle are splashed with water thrown from an office building in Montevideo's old district in Uruguay. 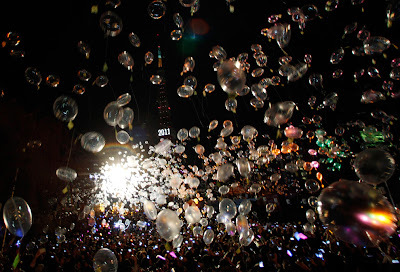 Ripped pages from calendars and water from buckets or in balloons are typically launched from office windows in this neighborhood to celebrate the end of the year. 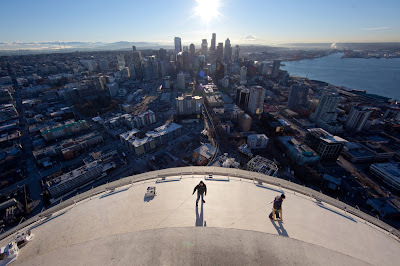 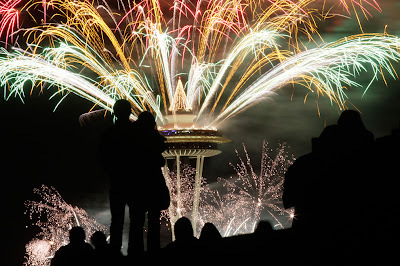 A pyrotechnic crew installs fireworks atop Seattle's Space Needle on Thursday, December 30,2010, in preparation for the New Year's firework show. 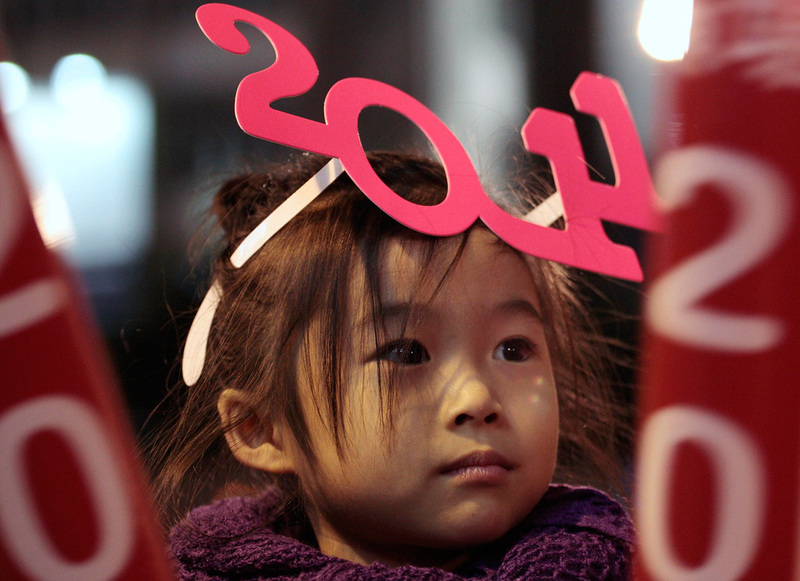 A child wears a pair of 2011 glasses during New Year Eve celebrations in Hong Kong's Times Square. 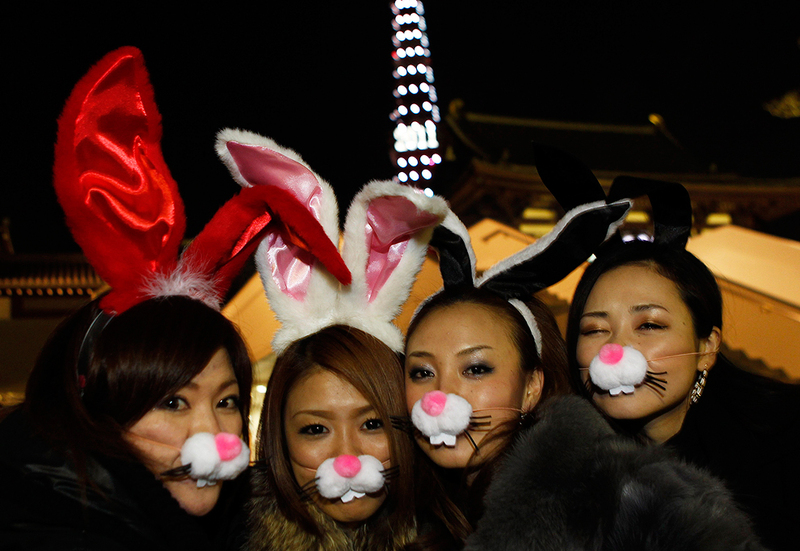 Women in rabbit costumes pose in front of the Tokyo Tower which is illuminated to celebrate New Year after a countdown event at the Zojo-ji Buddhist temple in Tokyo. People release balloons as the Tokyo tower is illuminated to celebrate New Year at a countdown event at the Zojo-ji Buddhist Temple in Tokyo. 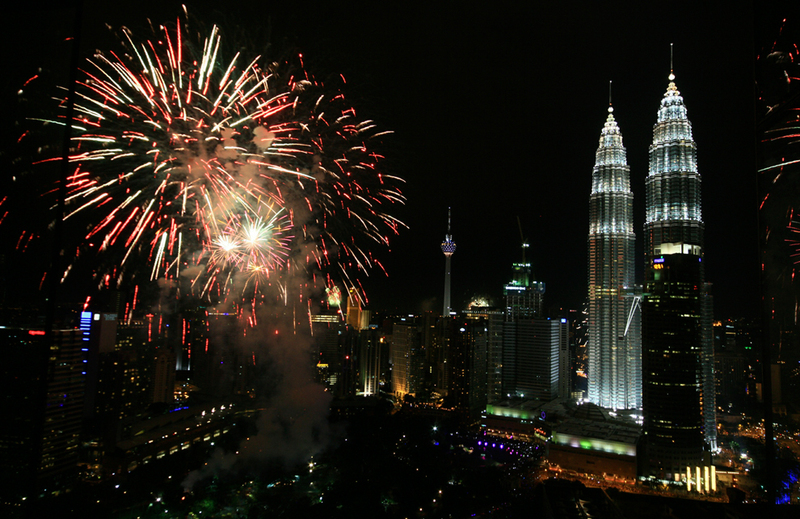 ‏Fireworks light up the sky near the landmark Petronas Twin Towers during new year celebrations in Kuala Lumpur. 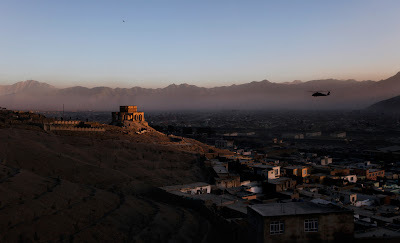 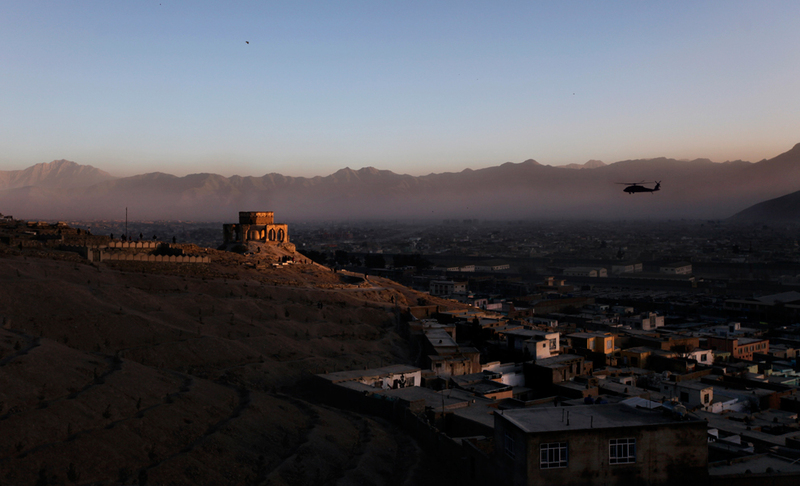 A military helicopter hovers in the sky as the last rays of the final sunset of the year fails sunset of the year falls on the ruins of a tomb in Kabul, Afghanistan, Friday, December 31,2010. 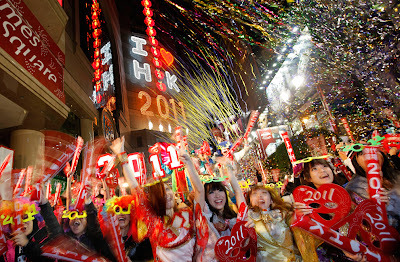 Revelers wave during the New Year's Eve celebrations in Hong Kong's Times Square on Saturday January 1, 2011. 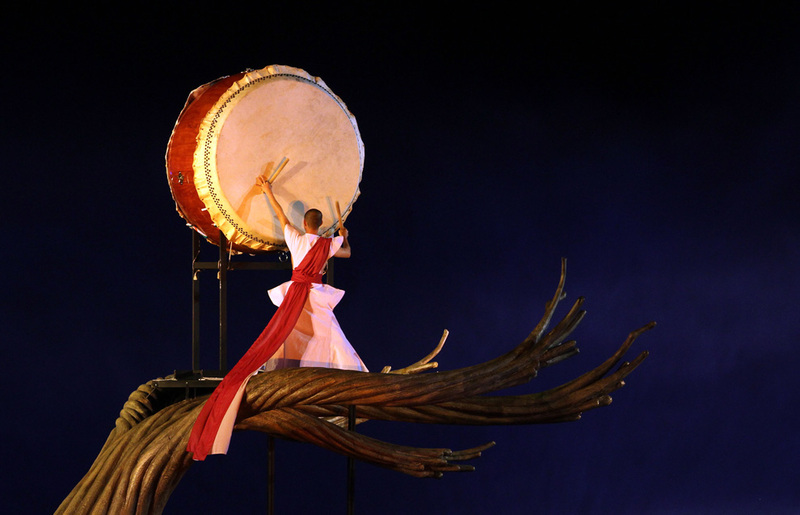 A Taiwanese performer plays a drum during the New Year's eve ceremony, Friday, December 31, 2010, in Taipei, Taiwan. The events marked the 100th anniversary of the founding of the Republic of China, Taiwan's official name, after a revolution led by Siun Yat-sen toppled China's last Qing dynasty. 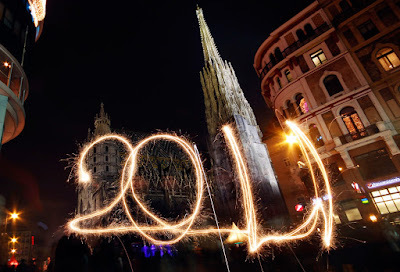 The number 2011 is written in the air with a sparkler in front of Stephansdom in Vienna. 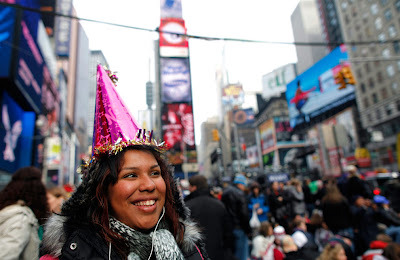 Daniela Calito from Los Angeles waits in Times Square for the evening's New Year's Eve celebrations. 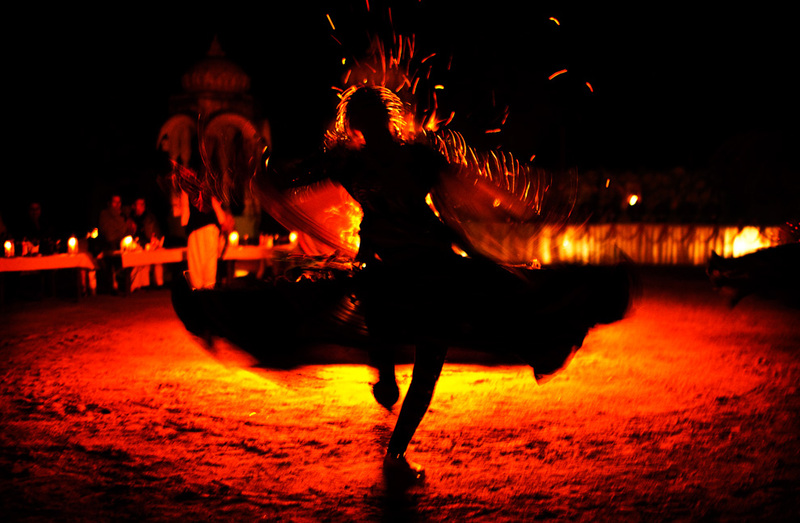 An Indian woman in traditional dress dances during festivities to welcome the new year in the village of Narlai, Rajahstan, India, late Friday, Decmber 31, 2010. 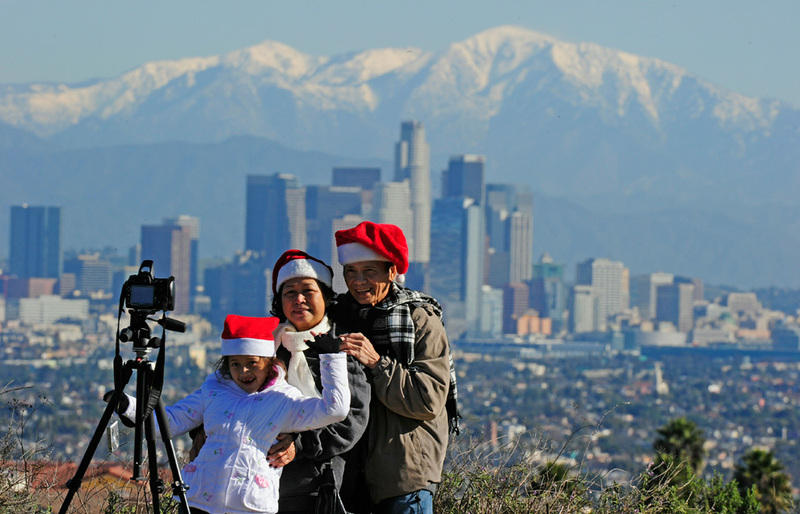 John and Anne Pham wear Santa hats as they pose for a holiday photo with their granddaughter Amanda Pham in front of the downtown Los Angeles skyline. 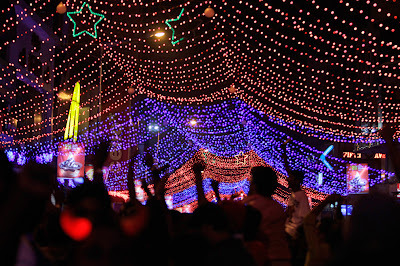 People dance on a decoratred street on New Year's Eve, in Bangalore, India. 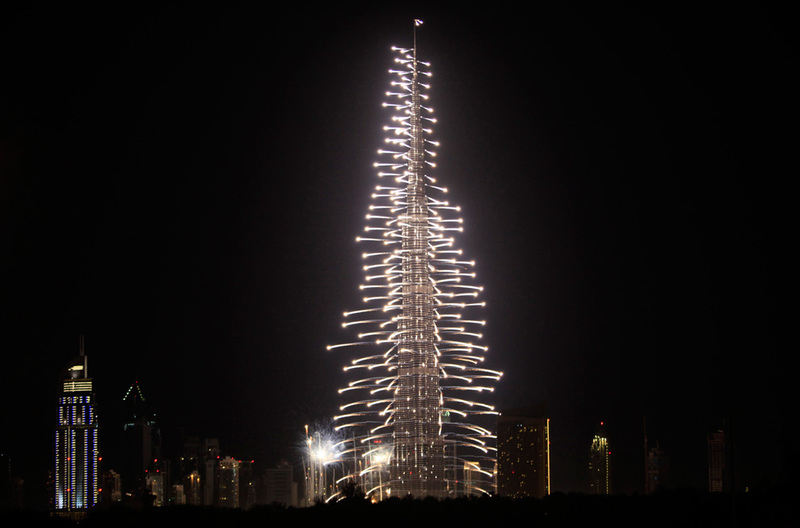 Fireworks explode over Burj Khalifa, the tallest building in the world, celebrating the new years in Dubai. 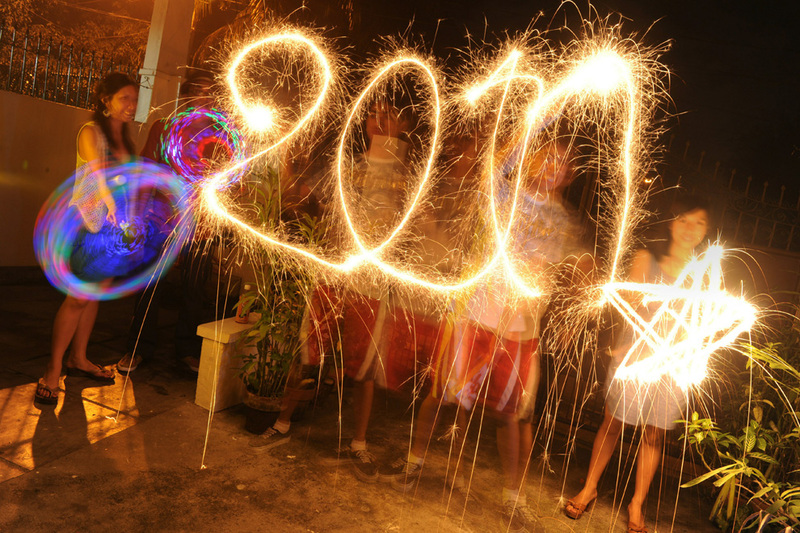 In this time exposure photograph residents use sparklers to welcome 2011 during the New Year's festivities in Manila, Philippines. 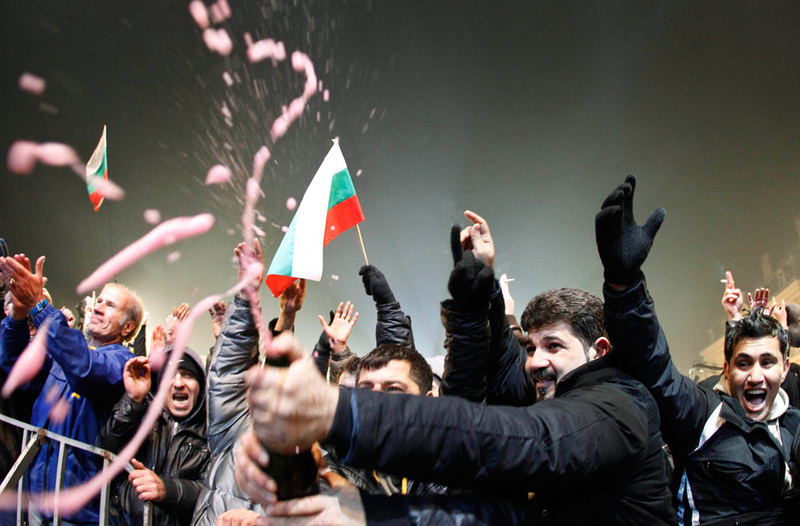 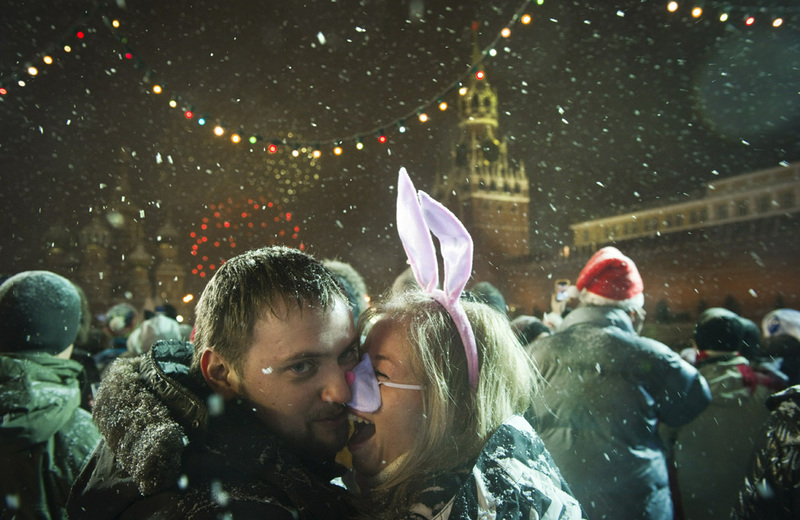 People gather at Sofia's main square in Bulgaris to celebrate the new year. 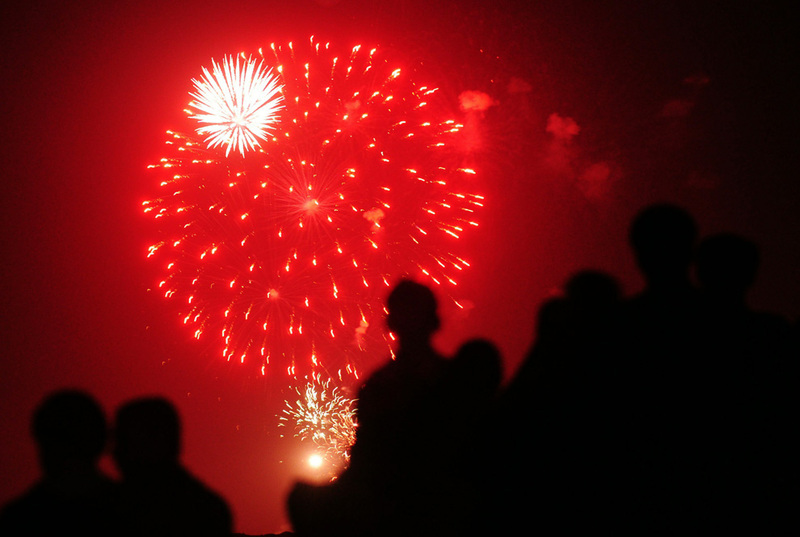 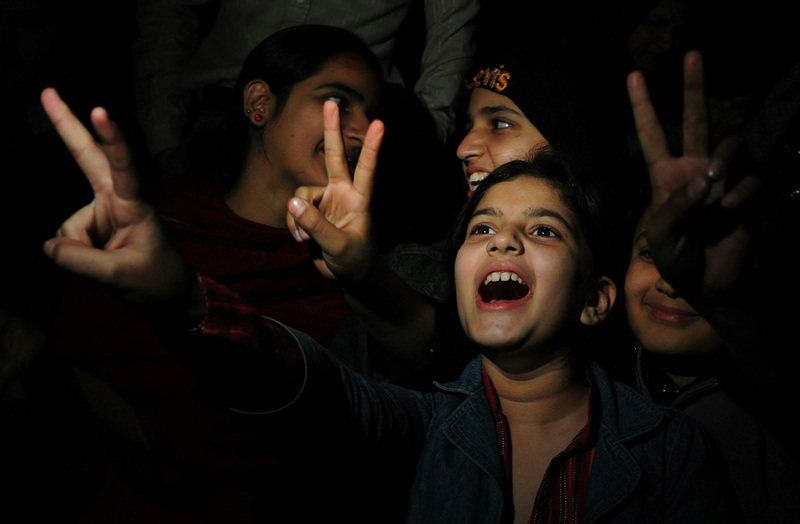 Pakistanis watch the NEw Year fireworks in Karachi. 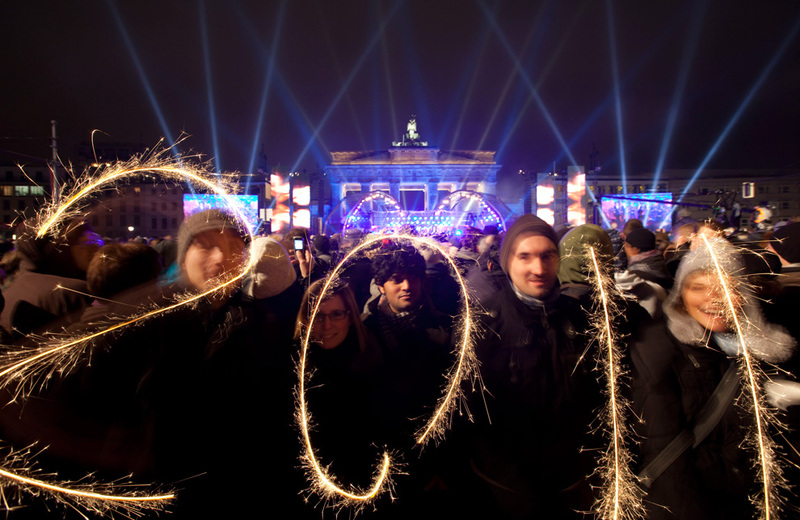 Tourists use sparklers to write 2011 for a photograph in front of the Bragendurg Gate in Berlin, Germany. 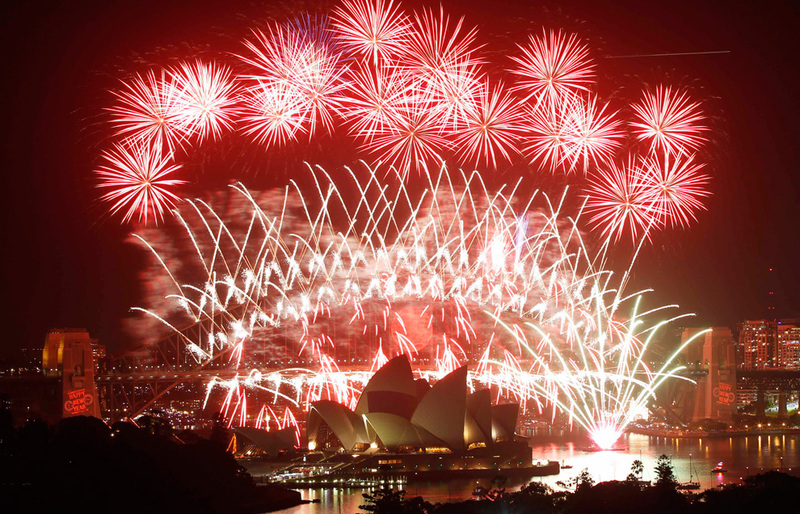 Pakistanis welcome the New Year in Karachi. Fireworks explode over St. 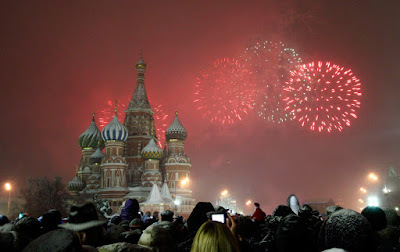 Basil Cathedral at Red Square during New Year's Day celebrations in Moscow, Russia. People gather to celebrate New Year's Eve at the Red Square in Moscow. 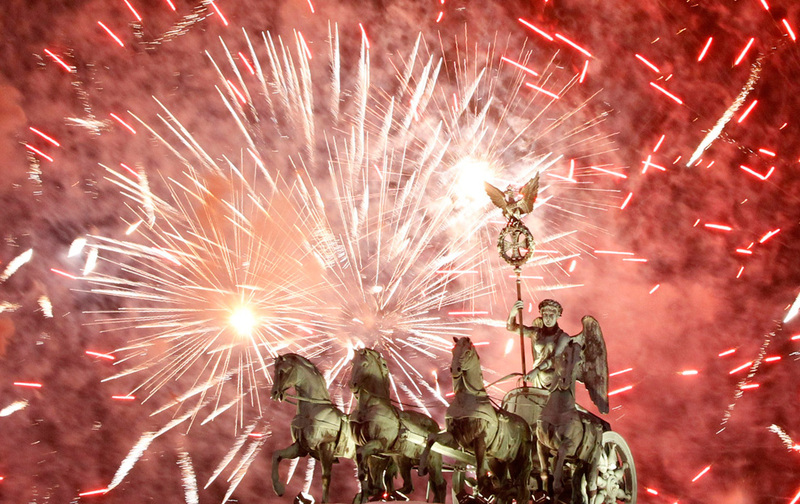 Fireworks illuminate the Quadriga sculpture atop the Bragenburg Gate during the New Year's Eve party in Berlin. 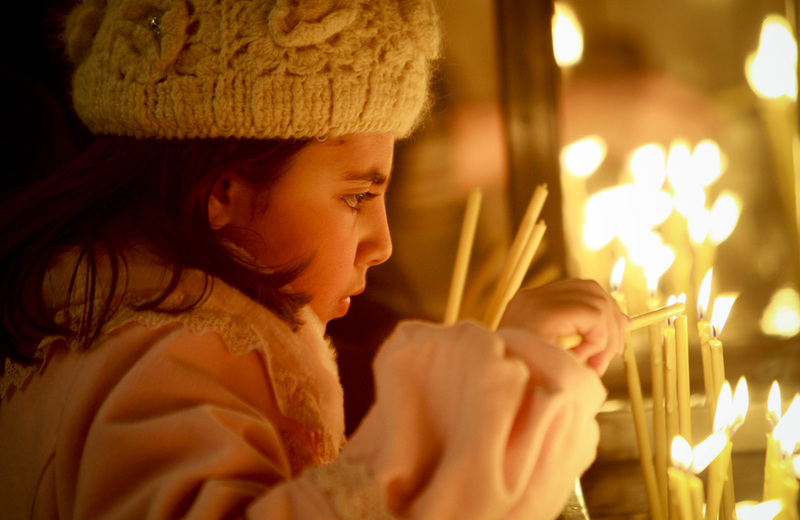 A Christian girl lights a candle before a New Year mass at Saint Serkis church in central Tehran. 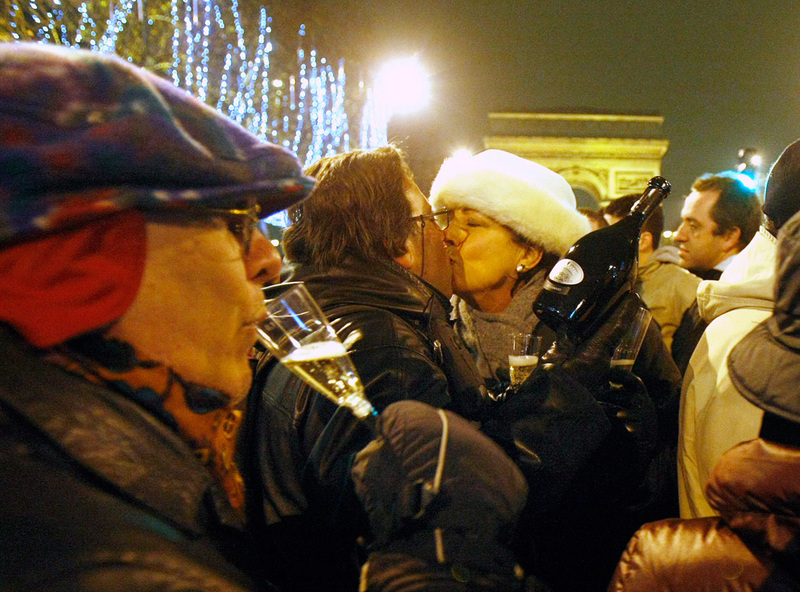 Revellers celebrate the New Year on the Champs Elysses avenue in Paris. 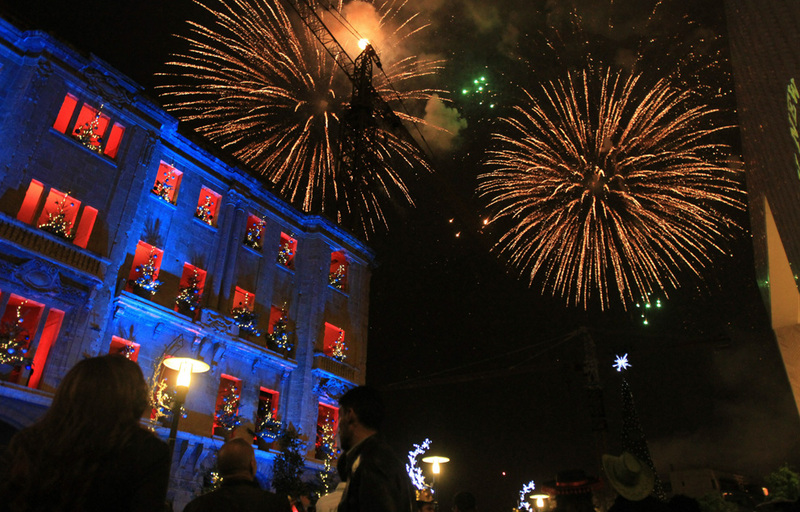 Lebanese crowds watch fireworks on New Year's Eve in the heart of central Beirut at midnight. The people of Hamburg celebrate the new year with fireworks at Landungbruken in Germany. 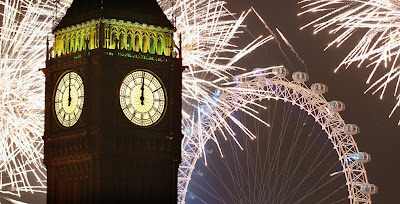 Fireworks light up the London skyline and Big Ben just after midnight on January 1 in London, England. 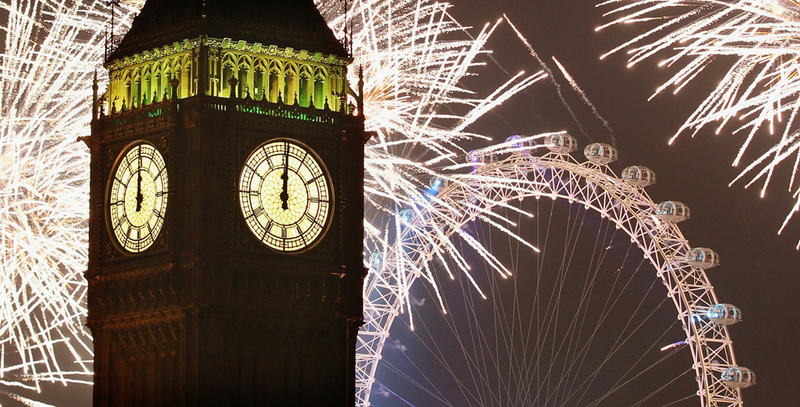 People lined the banks of the River Thames in central London to see in the New Year with a spectacular fireworks display. 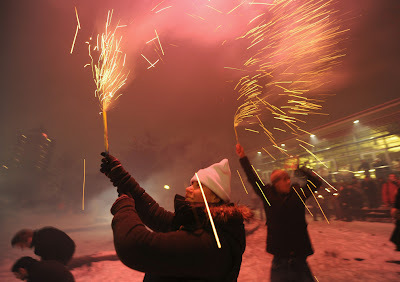 Estonians celebrate at the new year party in Tallinn'Teatri square, Estonia. 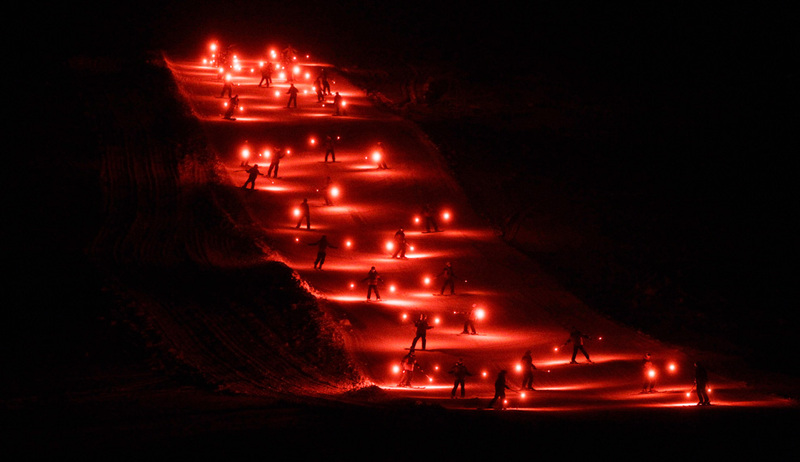 Skiers hold flares as they make their way down the mountain in Angel Fire, New Mexico. 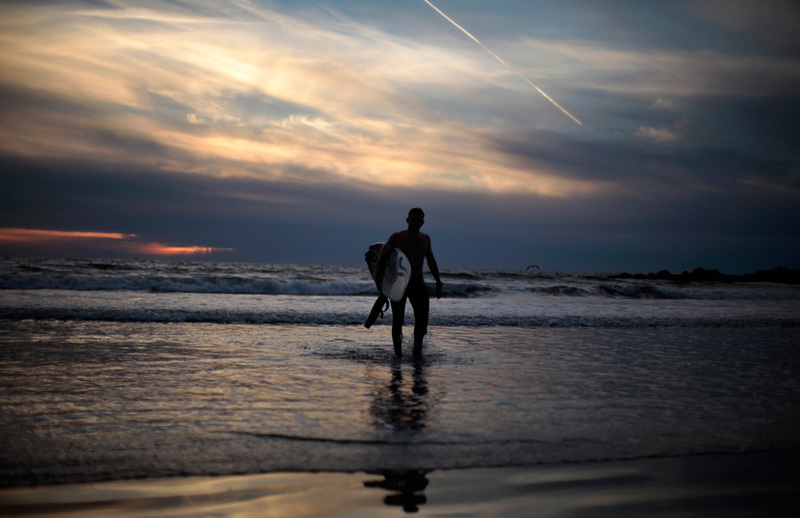 A surfer walks out of the ocean as the final sunset of 2010 takes place on New Year's Eve over Venice Beach in Los Angeles, California. 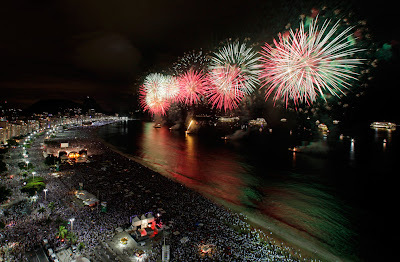 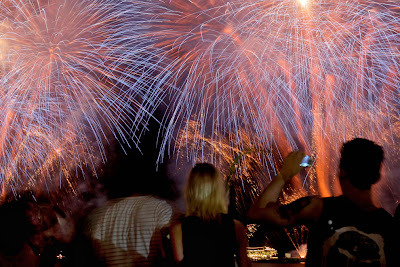 Fireworks explode over Copacabana beach during New Year celebrations in Rio de Janeiro, Brazil. People watch fireworks exploding over Copacabana beach during New Year celebrations in Rio de Janiero, Brazil. 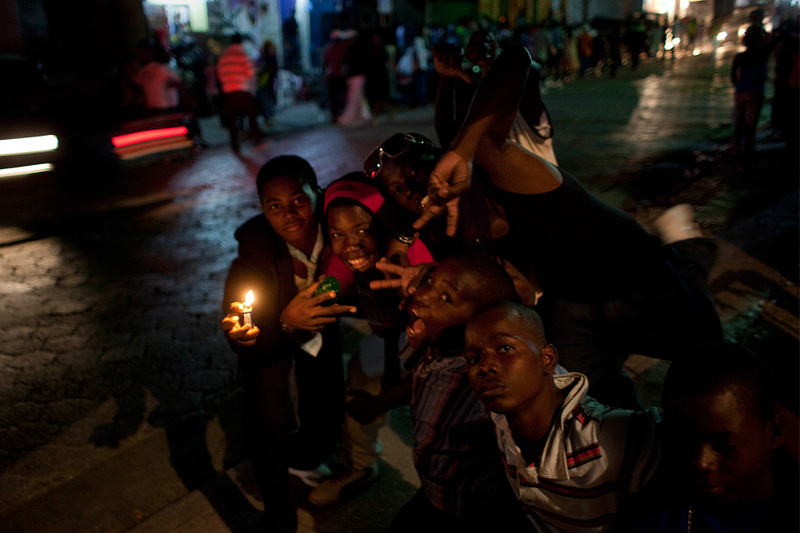 Children, one witha lighter, pose for pictures as they celebrate before the New Year in Port-au-Prince, Haiti. 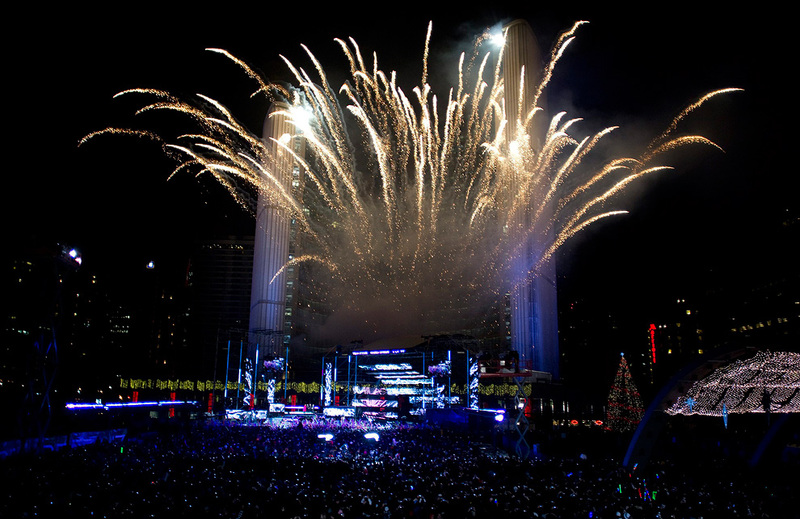 Fireworks erupt before the Toronto City Hall to mark the New Year's celebrations in downtown Canada. 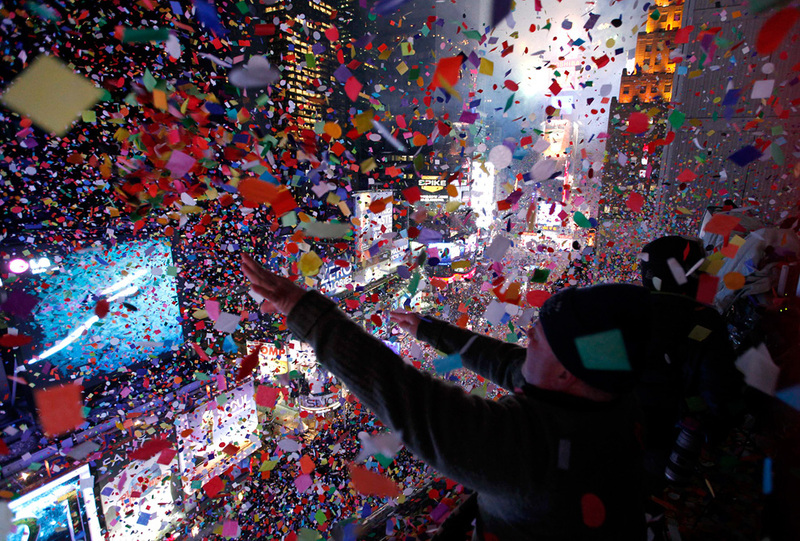 Confetti is dropped on revelers at midnight during New Year celebrations in Times Square in New York City. Chris Abaire(left) kisses Kirsten Razz after proposing to her after the New Year's Eve ball dropped during celebrations in New York's Times Square. 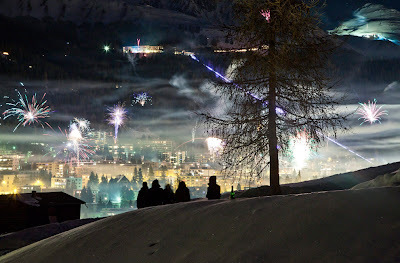 A group of revelers watch fireworks illuminating the scene, from their high vantage point over the city of Davos, Switzerland. 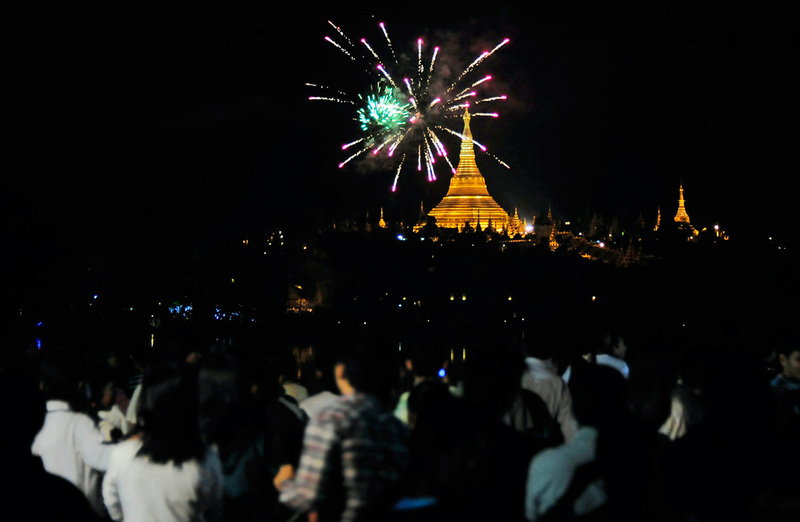 Fireworks burst above Yangon's landmark Shwedagon pagoda as Myanmar people gather to welcome the New Year 2011 at Kan Daw Gyi park in Yangon. 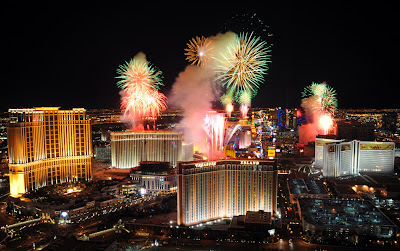 Fireworks burst over the Las Vegas Strip at midnight on New Year, as seen from Trump International Hotel. The New Year is greeted by a fireworks display on the Space Needle in Seattle, Washington. Hardy Dutch swimmers brave the icy North Sea in Scheveningen, Netherlands. 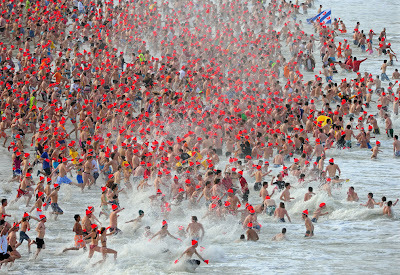 An estimated record number of more than 10,000 participants took part in this year's traditional New Year's dive.